367 Beacon is located on the south side of Beacon, between Fairfield and Gloucester, with 365 Beacon to the east and 369 Beacon to the west. 367 Beacon was designed by Rotch and Tilden, architects, and built in 1886 by D. Connery, mason, and Poor & Currie, carpenters, as the home of banker and broker Arthur Lithgow Devens, Jr. and his wife, Agnes Russell (Elwood) Devens. He is shown as the owner on the original building permit application, dated January 1, 1886, and on the final building inspection report, dated November 13, 1886. They previously had lived at 18 West Cedar and, before that, at 77 Marlborough. Agnes Devens purchased the land for 367 Beacon on January 9, 1886, from the estate of Francis B. Hayes. It was the eastern 21 feet of a 25 foot lot Francis Hayes had purchased on February 7, 1868, from a real estate investment trust formed by John Templeman Coolidge, Franklin Evans, and Charles Henry Parker. The land was part of one of several parcels originally purchased by the trust on January 29, 1866, from the Boston Water Power Company. The trust subsequently subdivided the property into lots, which it sold to investors and builders, who then frequently resold the lots to others. Click here for an index to the deeds for 367 Beacon. During the 1889-1890 winter season, the Devenses were living elsewhere and 367 Beacon was the home of Thomas Reed Wheelock and his wife, Edith Haswell (Clarke) Wheelock. He was a ship broker doing business in Shanghai. By the 1890-1891 season, the Wheelocks had moved to 196 Commonwealth and 367 Beacon was once again the Devenses’ home. They continued to live there during the 1891-1892 season, after which they made their home in Hamilton. On January 23, 1892, 367 Beacon was purchased from Agnes Devens by iron and steel dealer Herbert Austin. He had married in April of 1890 to Virginia Pegram and they had leased 227 Marlborough as their home. They probably had planned to move to 367 Beacon, but she died in May of 1892 while they were still living at 227 Marlborough, and he moved to 9 Arlington to live with his parents, James Walker Austin and Ariana Elizabeth Smith (Sleeper) Austin. On August 1, 1892, 367 Beacon was purchased from Herbert Austin by a trust established under the will of William Lawrence for the benefit of his daughter, Harriet Boardman (Lawrence) Sprague, widow of Seth Edward Sprague, who made it her home. She previously had lived at 20 Ashburton Place. By the 1894-1895 winter season, she had been joined by Miss Mary Greenwood Hooper. Mary Hooper died in March of 1918 and Harriet Sprague died in November of 1918. 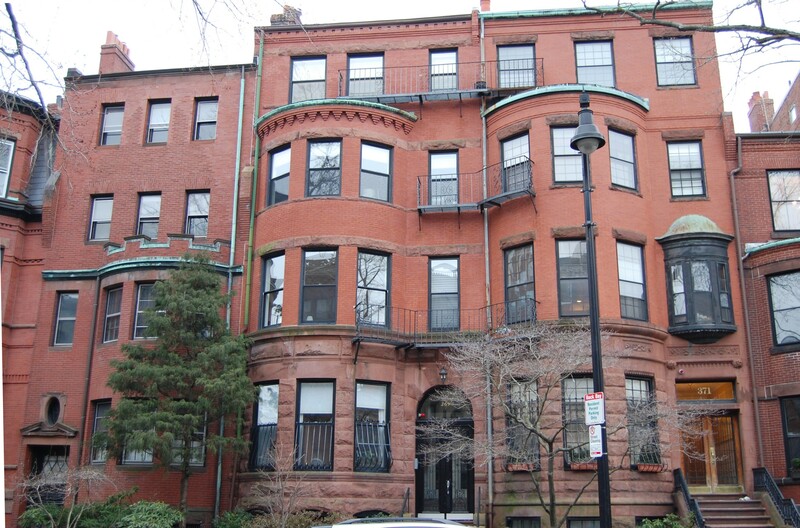 367 Beacon was inherited by Harriet Sprague’s only living descendants, Marion Sprague and Eleanor Sprague, the daughters of Harriet Sprague’s son, Charles Franklin Sprague. They lived in Brookline. Eleanor Sprague married in May of 1919 to Wilfred Sefton and moved to Auburn, New York. On October 15, 1919, 367 Beacon was purchased from Marion Sprague and Eleanor (Sprague) Sefton by Arthur Lithgow Devens, III, who had lived there as a child. He and his wife, Wenonah (Wetmore) Devens, made it their home. They previously had lived in an apartment at The Belvoir at 636-638 Beacon. He was a banker and bond broker. During the 1923-1924 winter season, the Devenses were joined at 367 Beacon by department store heir Harold Leufroi Chalifoux and his wife, Elizabeth Alice (Burrage) Chalifoux. During the 1922-1923 season, they had lived at 175 Beacon. They also maintained a home in Beverly. By the 1924-1925 season, they had moved to 230 Commonwealth. The Devenses continued to live at 367 Beacon until about 1925. In 1925, they were joined there by wool merchant Matthew Luce and his wife, Mary Cobb (Hovey) Luce. They had lived at 250 Commonwealth in 1924. By the 1925-1926 winter season, the Devenses had moved to The Charlesgate at 535 Beacon (and then to 49 Hereford by the 1926-1927 season) and the Luces had moved to their home in Cohasset. On May 8, 1925, 367 Beacon was purchased from Arthur Devens by Caroline Elizabeth (called Elizabeth) (Perkins) Cabot, the widow of banker and broker Charles Mills Cabot. Their daughter, Sarah Sullivan Cabot, lived with her. They previously had lived at 297 Marlborough. In June of 1925, Mrs. Cabot applied for (and subsequently received) permission to convert the property from a single-family dwelling into a two-family dwelling so that her son-in-law and daughter, Maurice Machado Osborne and Frances Anne (also called Nancy) Osborne, could live with her. Maurice Osborne was a mechanical engineer and architect, and is shown on the permit application as the architect responsible for remodeling 367 Beacon into a two-family dwelling. By 1930, he had become an advertising agent. Sarah Cabot married in June of 1929 to William Ellery Sedgwick, a professor of English at Harvard. After their marriage, they lived in Cambridge. 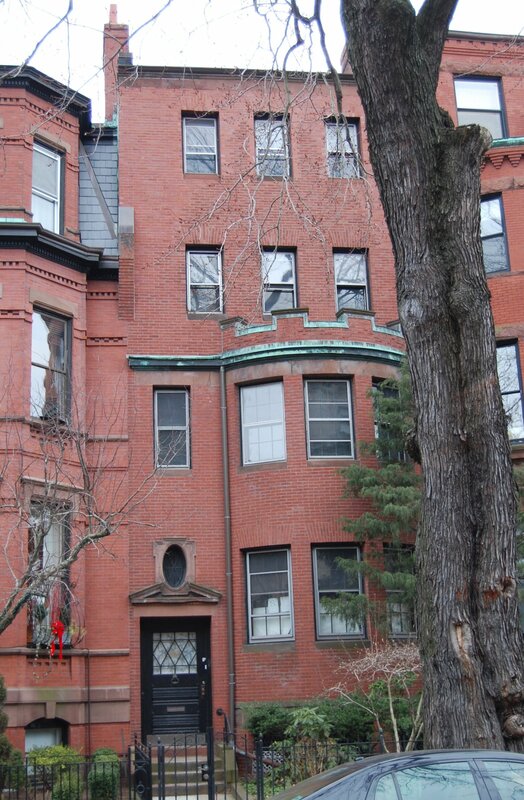 Elizabeth Cabot and the Osbornes continued to live at 367 Beacon until about 1942, when they moved elsewhere (probably to Westwood, where Elizabeth Cabot died in September of 1944). By 1943, 367 Beacon was the home of Elizabeth Cabot’s daughter, Sarah Sedgwick, whose husband, William Ellery Sedgwick, had died in February of 1942. Prior to his death, they had lived in Stockbridge. The second unit at 367 Beacon became the home of Frederick Mead Roberts, a banker, who previously had lived in an apartment at 333 Beacon. He continued to live at 367 Beacon until about 1946. On March 5, 1945, Frances (Cabot) Osborne purchased 367 Beacon from her mother’s estate. Sarah Sedgewick continued to live there. By 1948, the second apartment had become the home of Maurice and Nancy Osborne’s son and daughter-in-law, Maurice Osborne, Jr., and Sydney (Watkins) Osborne. They previously had lived in New York. He was a physician. They had moved by 1949. 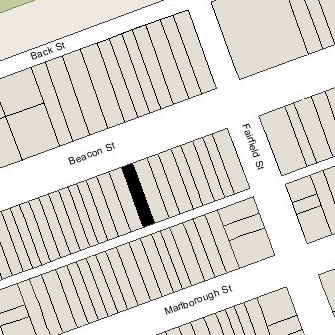 By 1950, Maurice and Frances Osborne had moved to 367 Beacon. They also maintained a home in Ipswich. By the mid-1950s, they had been joined by their daughter, Elizabeth Osborne, a teacher. Maurice Osborne died in January of 1958. Frances Osborne, Elizabeth Osborne, and Sarah Sedgwick continued to live at 367 Beacon until Frances Osborne’s death in May of 1980. 367 Beacon was inherited by Elizabeth Osborne. On May 15, 1981, 367 Beacon was purchased from Elizabeth Osborne by Gary S. Farkes. He and his wife, Renée DuChainey-Farkes, made it their home. In October of 1983, he filed for (and subsequently received) permission to convert the property from a two-family dwelling back into a single-family dwelling. On December 5, 2005, he transferred the property into his and his wife’s names. The property subsequently changed hands. It remained assessed as a single-family dwelling in 2017.